The Tony Team 240Lt Bin Compactor is simple and safe to use and represents excellent value for money. It provides cost-effective means of reducing the volume of waste and helps waste areas clean and tidy. 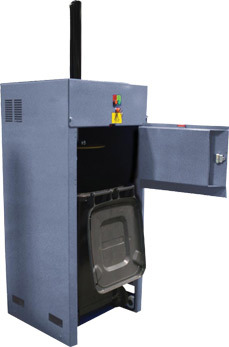 The 240Lt Bin Compactor is suitable for all types of waste and mixed recycling. Simply compact into separate colour coded bins. Ideal for use in restaurants, garage forecourts, retail outlets, offices and small hotels to economically reduce the volume of waste.